no one is more surprised at the fact that I am reviewing this album positively than myself, considering that my first introduction to Maricich as a solo artist (sidestepping her vocal appearances on various Microphones recordings) in The Blow was via the Invisible Shield compilation, on which her "The Democracy of Small Things" (originally from the Bonus Album EP) appears. It quickly became one of the few songs I would invariably skip and Maricich became known around my household as "the girl who talks to her molecules." Luckily, I had an open enough mind to approach The Concussive Caress on its own merits--once I determined that "The Democracy of Small Things" was not featured. The Concussive Caress isn't your average electronic pop album. It requires a little attention be paid and does not hold with common song titling conventions. Track 3 isn't titled at all and two songs--"'Sweetheart'" and "Gravity (Pauline's Response to Amy)"--expand over two consecutive tracks each. Timing isn't a consideration, either, with four of the fifteen tracks coming in at considerably less than one minute and Track 15 figuring at over ten minutes (if you include the hidden track at the end of the album). However, as with many K artists, once I got over the sheer oddity of the album, I was able to settle back and enjoy it as music. "How Naked Are We Going to Get?" is bold in any form, with lyrics that touch on unspoken thoughts, including the idea that one can "remember the route to her heart from her thighs." It's as forceful and attention-grabbing as anything on Exile in Guyville. All this is backed by a droning undertone and the occasional high-pitched accompaniment to Maricich's sweetly alluring voice that shows itself to be malleable to any situation. This groove is broken by "Chase Dream," with knocks its way in with the side of a drum and the staccato delivery of "I get it, got it, get it get it, got it" for 26 seconds, followed quickly by an untitled track featuring a barely tuneful guitar and drums for 22 seconds. Strangely enough, these interludes add to the narrative flow somehow that I understand but can't explain. He called me...just that once and then he never called again. Khaela's courageous (and, I must add, almost entirely successful) experimentation with different genres on The Concussive Caress is epitomized by the slow, groovy rap goodness of "What Tom Said about Girls." It is easily my favorite track on the album, not least because she really gets into the mind of this mostly unlikable character and shows his cockiness truly and satirically, making him sympathetic in the process. "Nothing" didn't strike me as very memorable at first, but eventually worked its way into the folds of my brain and emerges at unconventional times--strange for a track without a chorus to speak of. Throughout the album, we are introduced to snippets from the Karicich's recent narrative opera, Blue Sky vs. Night Sky and if these songs are any indication, a full recording of this opera would be an event, indeed. As it is, we are merely teased with snippets of the whole storyline. "Come On Pauline (Amy's Cassette for Pauline)," "Gravity (Pauline's Response to Amy)," and "What Amy Heard in Her Mother's Voice Played Backwards" are only the most obviously titled ones of this selection. Based on their lyrical content, I'm assuming that "What Tom Said About Girls," "'Sweetheart,'" "Where I Love You," and "A Night Full of Open Eyes" are also part of this cycle and these are some of the highest points on The Concussive Caress. 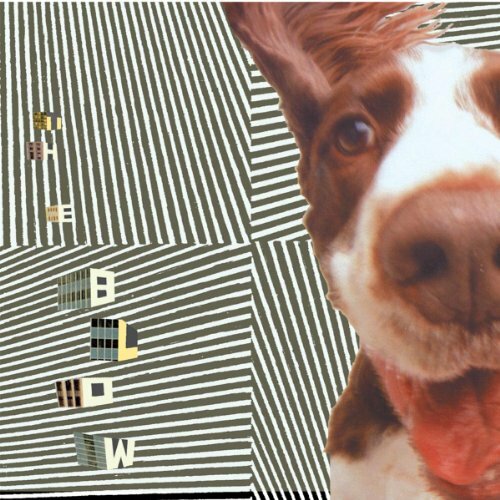 But even so, this album as it is could well be the crowning glory (so far, of course) in the career of The Blow. The final track ("The Warrior's Hearts") is grandly reminiscent of the music from The 7th Guest but also sounds like something that would play under closing credits, making it the perfect closer to this disc. The entirety of The Concussive Caress runs only about thirty minutes (not including the hidden track at the end of 15), which is just enough time to take the dog for a long walk (or the ferret, depending on your pet predilections), but not so long that you have to stay the night over at a friend's house the finish the thing, unlike some bands that seem to thrive on filler just to take up the whole running time of a compact disc. It's a truly great album that leaves me wanting more. Click on the links above to purchase any of the items mentioned, or use the search box below to find what you like.